I don’t know if this apartment can be called a studio. 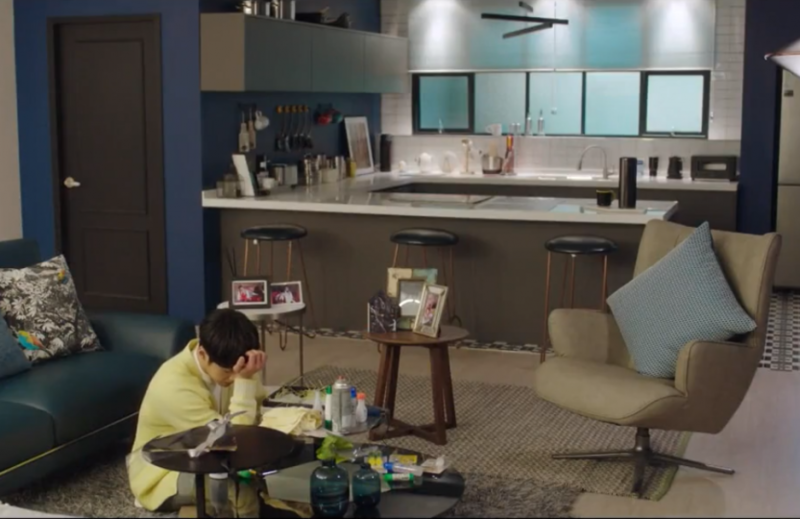 When I saw Kwon Shi-Hyun’s new apartment on the screen, it did not look like a typical male studio – a small, cramped and rather uncomfortable space. I have the impression that this studio apartment is larger than the average few room apartments. Well, I should not be surprised, because the young resident is extremely rich. These amazing screens intrigued me the most in this apartment. It very cleverly separate the bedroom space from the living room. Thanks to them, privacy is preserved, and the apartment does not optically lose space. The whole room is very cozy despite the cool shades of blue and gray. I love pink with boundless love, but in home interiors I prefer blue and gray. I dream of such a bed in the bedroom.